Today, the final book in the Wolves of Mercy Falls trilogy was spotted in bookstores across the country! 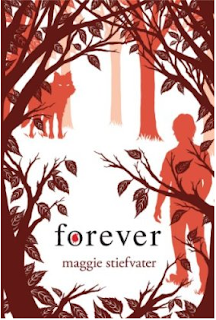 Forever is rumored to be the most emotional and roller-coaster ride crazy book in the series, and a definite must for fans of Maggie Stiefvater's work. To celebrate its release day, The Bookarazzi recommends you get your hands on a copy of it ASAP!